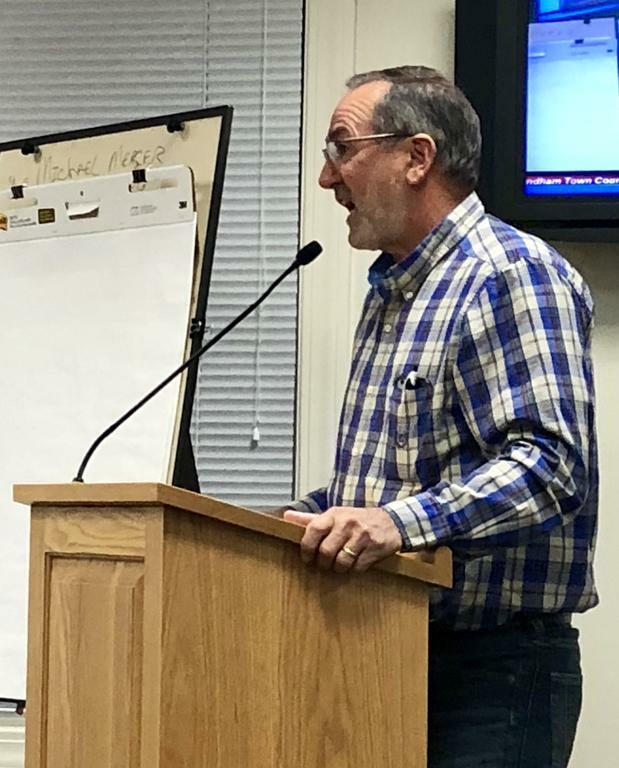 WINDHAM — The Town Council Tuesday failed to adopt a moratorium on subdivisions in the farm zone, which would have prohibited the location of new subdivisions and the addition of more than two lots to pending and existing subdivisions in the farm zone. Many residents spoke during the public hearing, both for and against the moratorium. Michelle Allain-Newton and Sarah Bronson of the group Growing Windham Responsibly supported the moratorium, citing the impacts of over-development on open space, water quality and traffic. “There is too much to be lost if we don’t do this now,” Bronson said. Rosie Hartzler, president of the Highland Lake Association, said she was “largely in favor of the moratorium” and discussed the environmental impacts of over-development. “We’re not creating a threat to the health, safety or welfare of Windham. The next 100 houses isn’t going to create a hardship to anybody in the town of Windham, so why the moratorium?” he said. Larry Eliason agreed. “The market will correct itself. Windham seems to go from moratorium to moratorium to moratorium,” he said. Development in Windham has been a topic of discussion for months. Residents packed an Oct. 22 Planning Board meeting to voice their concerns about over-development, including impacts on taxes, schools, roads, water bodies and the town’s rural character. Town Planner Amanda Lessard reported at the council meeting Tuesday night that the Long Range Planning Committee was “well within” the work plan the council approved in September, which included investigating zoning ordinance and map amendments and impact fee recommendations. She said a proposal regarding impact fees would be presented to the council in a couple weeks. “Regardless of a moratorium, we’re going to continue working on zoning changes for the farm and farm residential zone,” Lessard said. 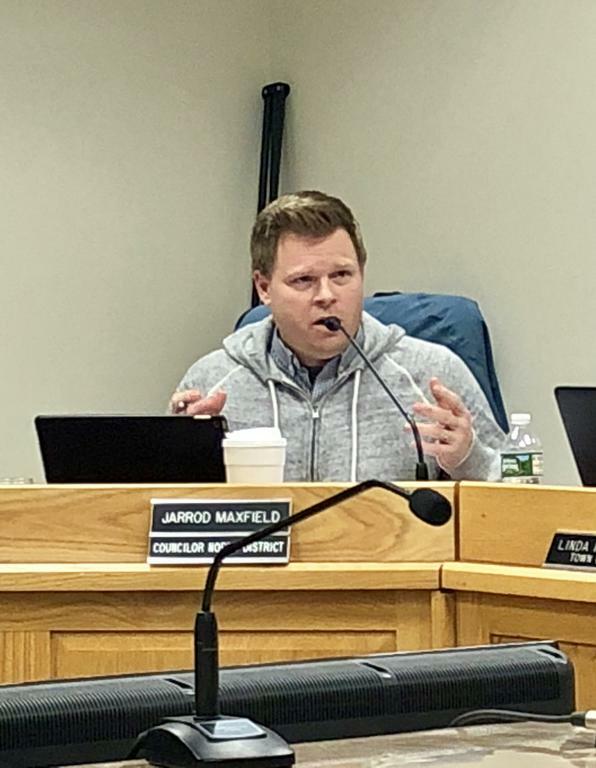 Councilor David Nadeau said that although he was not really in favor of a moratorium, he would be willing to adopt it for the sake of compromise, something he urged the council to work toward. Councilor Jarrod Maxfield worried about the unintended consequences of a moratorium. Councilor Tim Nangle did not support the moratorium as a way to address over-development. “I don’t believe we have an emergency that requires us to put people’s lives on hold,” he explained. Councilor Bob Muir voiced his concern about impacts on the environment and said he had not yet decided how to vote. Councilor Chairman Clayton Haskell was not in attendance. Nadeau proposed an amendment to the motion regarding the seven subdivisions that are currently before the Planning Board. Two of the applications fit that description, so five would not be allowed to continue if the moratorium passed. The amendment would only require that a sketch plan application has been reviewed by the Planning Board. All seven of the applications have completed this step, so all would be allowed to continue, Lessard said. The council approved the amendment, with Nangle and Cummings against, and then voted on the motion as amended. Chapman, Nadeau and Muir voted for the moratorium, and Cummings, Nangle and Maxfield voted against it. Because of the tie vote, the moratorium failed. The council also adopted its goals for 2019, as discussed at its Jan. 12 goal-setting session. Windham resident Jim Cummings spoke against the proposed moratorium. President of the Highland Lake Association Rosie Hartzler supported implementing a moratorium. Councilor Jarrod Maxfield explained why he did not agree with the moratorium.